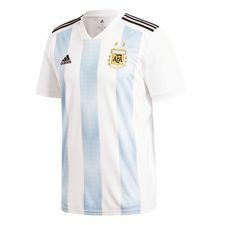 It’s the big 2018 World Cup shirts launch day for adidas. We’ve already shown you the stunning kits for Argentina, Belgium, Germany and Spain. All of these have a retro look, which is also the case for the other adidas WC kits. Dig in, and get ready for the World Cup next summer. 23 of the 32 participants for the 2018 World Cup in Russia have been found, while most of the last countries will qualify through the play-off games in the following week. Among the qualified teams are Mexico, Colombia, Japan, Egypt and the host Russia. Today, adidas has revealed the WC kits for all of these nations, including Sweden that is up for a tough battle against Italy. Get ready for some retro awesomeness. 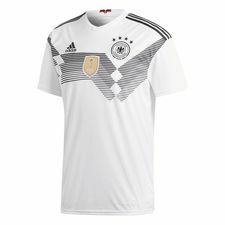 The German brand has also launched the World Cup 2018 shirts for some of the tournament favourites. Read more about the kits for Spain, Belgium, Germany and Argentina by clicking the name. El Tri won the CONCACAF qualifying group in style, and Javier “Chicharito” Hernández and co. will once again be playing in the world’s finest company. Next year, the Mexican team will be wearing a gorgeous kit inspired by designs from the early 1990’s. It really is the perfect transition from the stadium to the street. 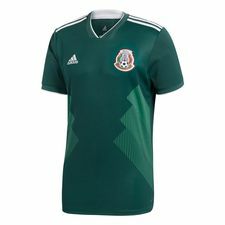 Being mainly green, the Mexico shirt features a graphic running from the hem towards the chest. The detail to the neck reads ‘Soy Mexico’ which completes the visual commitment to the nation. Show your love for El Tri and get the WC Mexico shirt right here. Like Mexico, Japan was one of the first five nations to qualify for the World Cup. 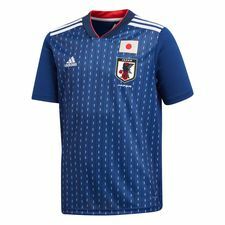 The Japan shirt for the country’s sixth consecutive World Cup takes inspiration from handcrafted Japanese Apparel Design. The graphic mimics the traditional craftsmanship of the Sashiko stitching technique, which is made by white rough threads on indigo dyed base. This provides a beautiful and unique look for both Shinji Kagawa and co. and the fans of one of Asia’s biggest football nations. 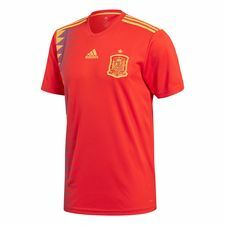 The kit features a new shade of blue with hues of red and white in representation of the national flag. A sign-off on the reverse of the neck area celebrates important moments of JFA's football history. Want to support Japan at the World Cup next year? Get the brand new Japan shirt here. Colombia had a tough qualifying phase, and the proud football nation made it to the World Cup at the very last day of the CONMEBOL qualifying group at the cost of among others the South American champions Chile. 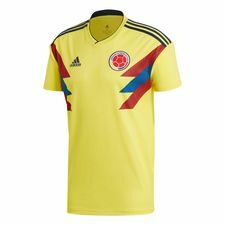 The new 2018 WC Colombia shirt is a contemporary take on their most iconic home shirt from the 1990 WC in Italy, and the yellow kit features a blue and red graphic design on the side of the kit highlighting the Colombian flag colours. 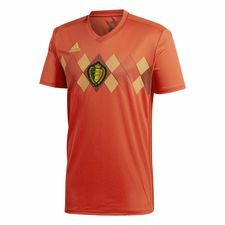 Like the other adidas kits, the shirt features a sign-off on the back of the neck, this one reads 'Unidos Por Un Pais' (United as one Nation). Do you believe James and Falcao will shine in Russia? Get the Colombia shirt here. Moving on to Europe to another yellow shirt, Sweden still need to book their ticket for the World Cup. It must have been a horror draw for the Swedes, as they saw Italy as their opponent in the play-off matches. But as you all know, everything is possible in football, and who knows – maybe Sweden will be playing in Russia next year. Otherwise they’ll at least get to play in the brand new kit in the play-offs. 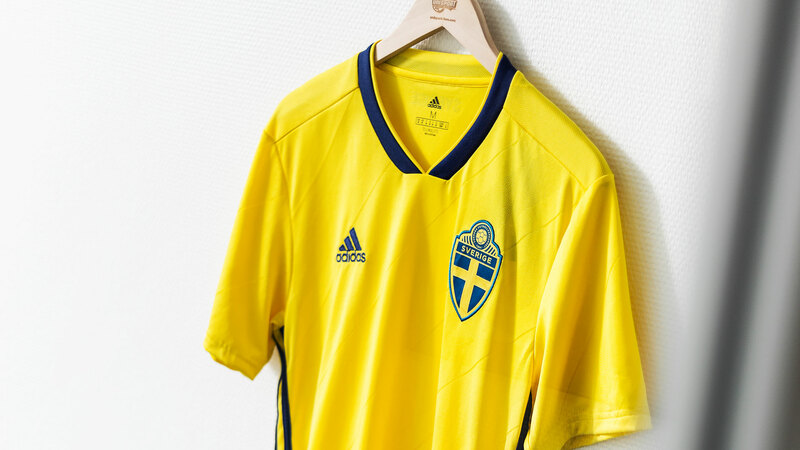 In line with adidas' other new kits, the Sweden shirt has a clear retro inspiration. The pattern on the front, which actually looks very similar to that on Real Madrid's current home shirt, is directly taken off the 1988 Sweden shirt, and the shape of the collar derives from the 1992 kit. A clean and modern version of the iconic Sweden kits. 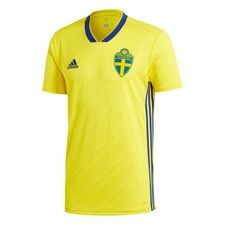 Support the Swedes in the hunt for the World Cup spot, and get your Sweden shirt here. We finish off with the host nation’s home kit. 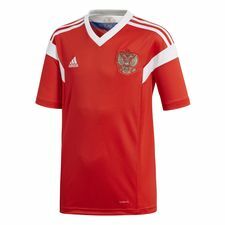 The Russia shirt is a modern interpretation of the kit worn by the Soviet Union during the 1988 Olympic Games, where the team won Gold. The red shirt features solid white lines running from the back across the arms and onto the chest, offering a modern and bold look. The back of the neck features the Russian flag, the Russian eagle and the Russian wording for ‘Victory-Bound as One’. Get the Russia shirt here if you want to support the host nation in the 2018 World Cup. 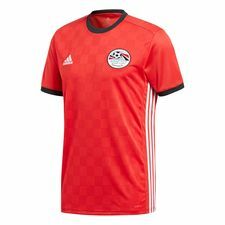 adidas has also released the kits for Algeria, Venezuela, Paraguay, Bosnia & Herzegovina, and the 2018 World Cup participants Egypt. Check out the shirts of your favourite national team right here.